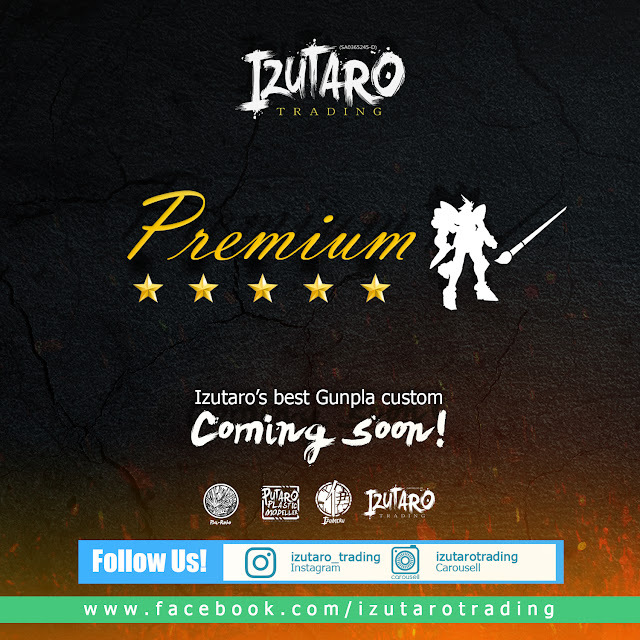 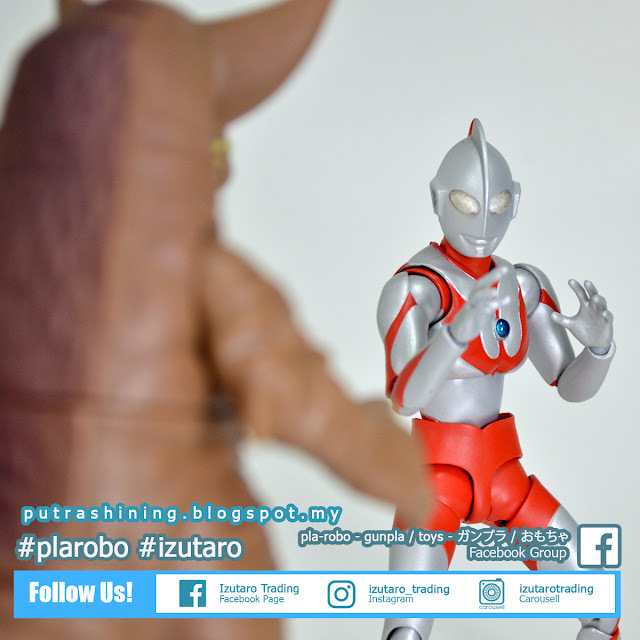 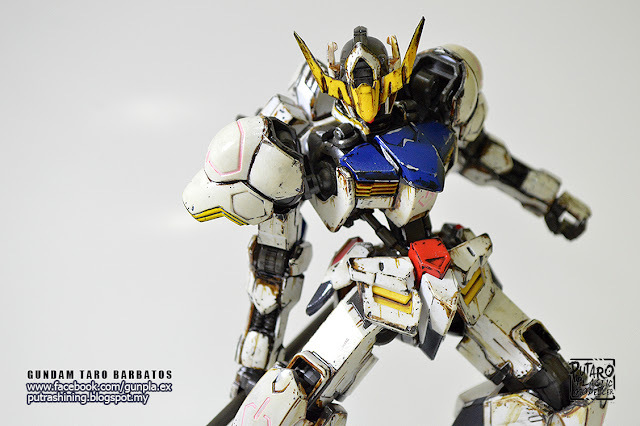 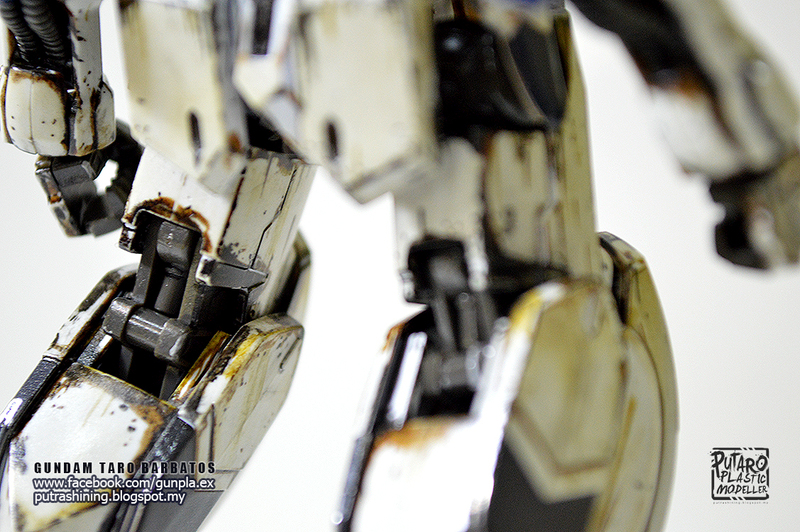 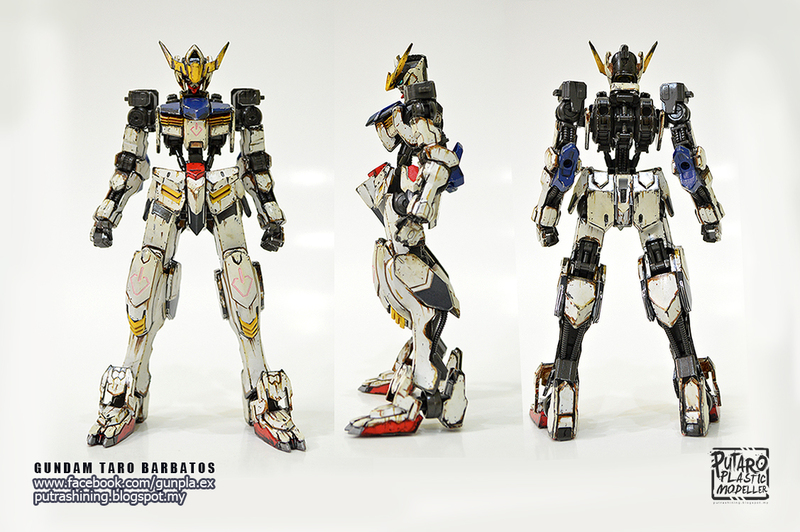 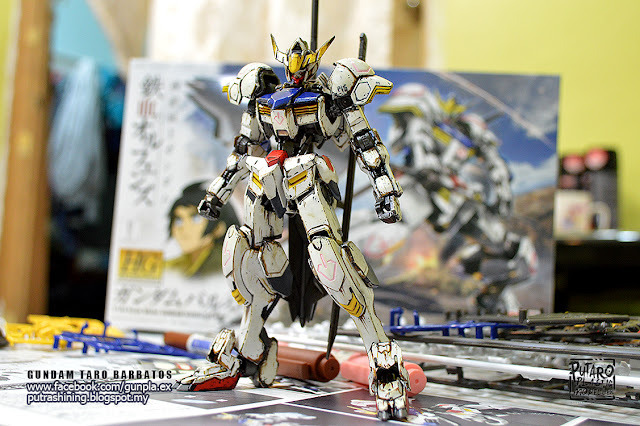 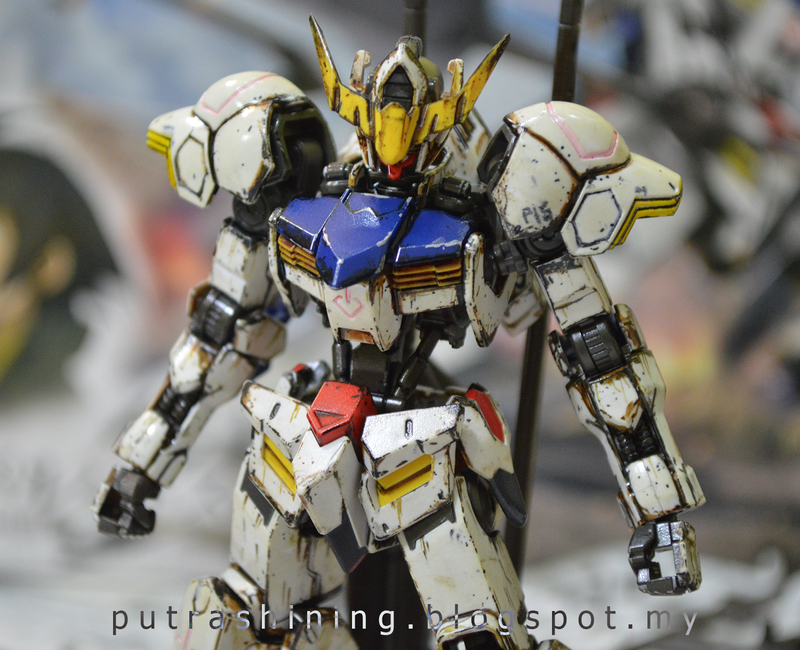 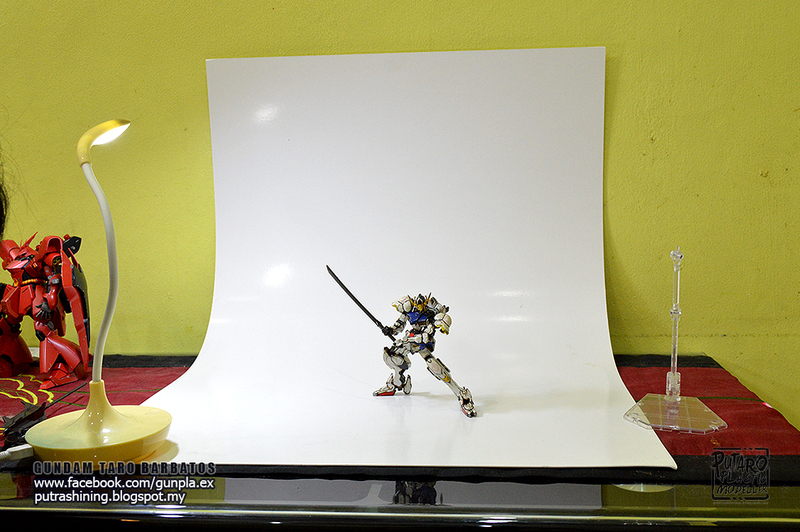 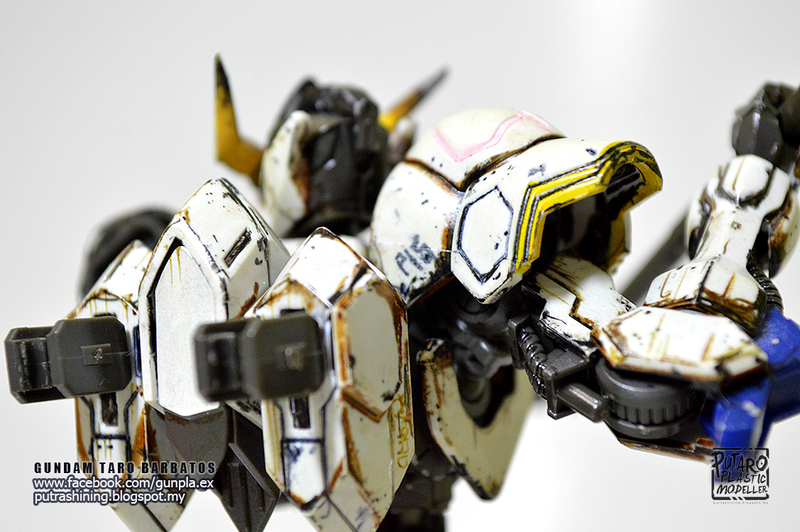 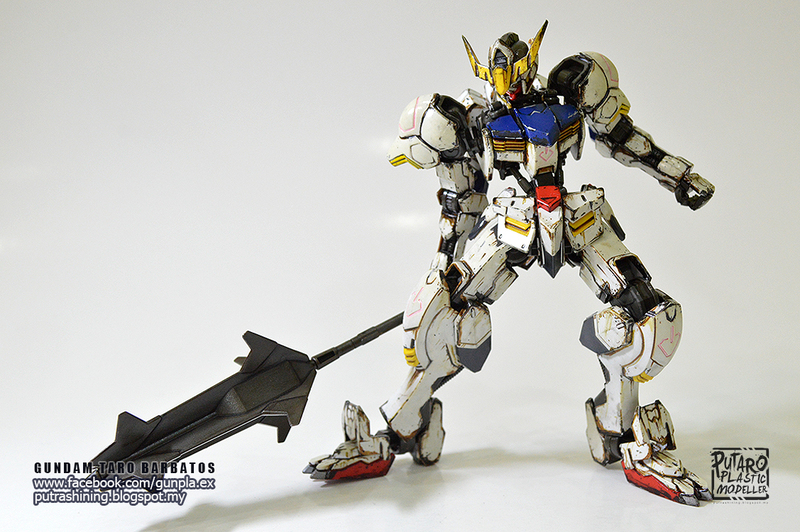 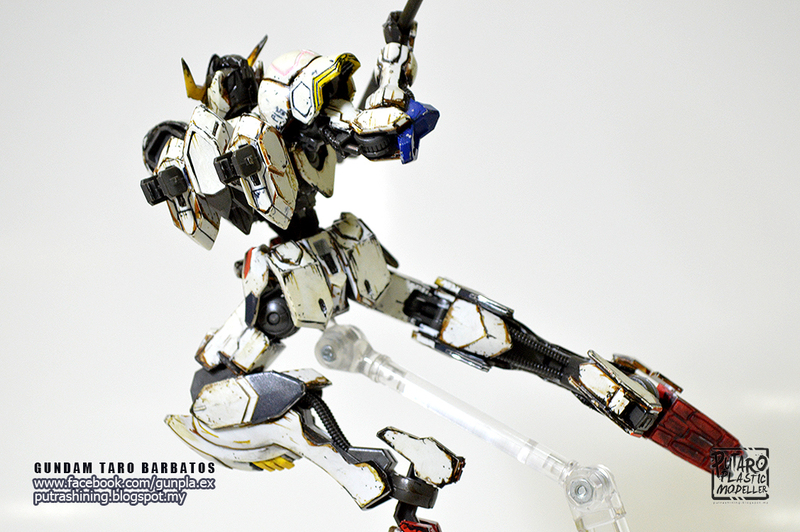 Welcome to Putaro PLastic Modeller,I present to you, GUNDAM BARBATOS custom weathering by Putra Shining. The first product from the anime Iron-Blooded Orphans. New weathering style technique. 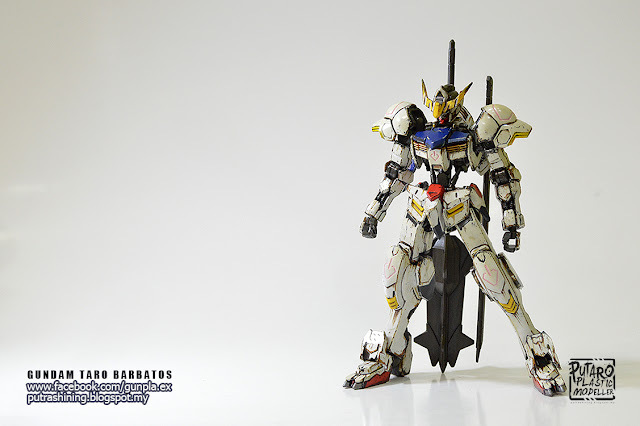 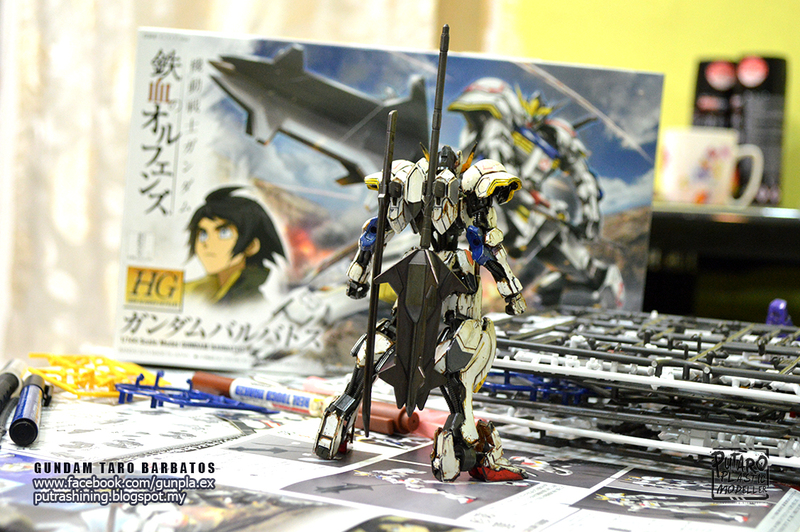 Hi guys, look..it's Barbatos! 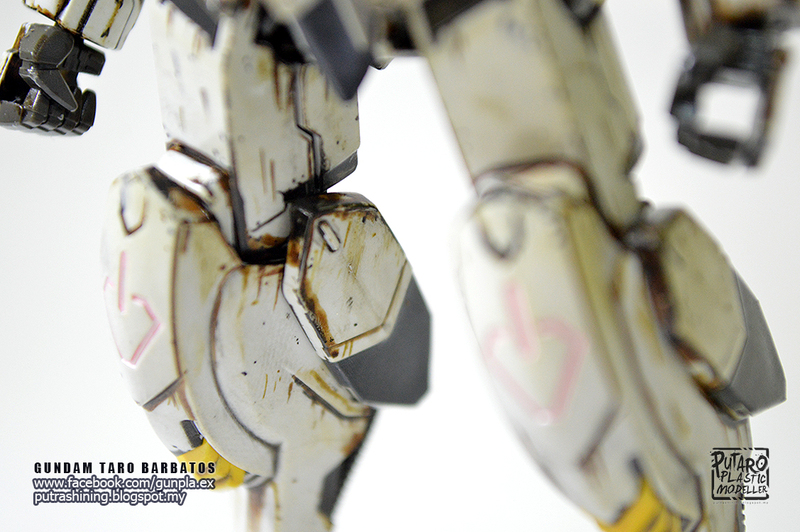 This current product is a hot item. 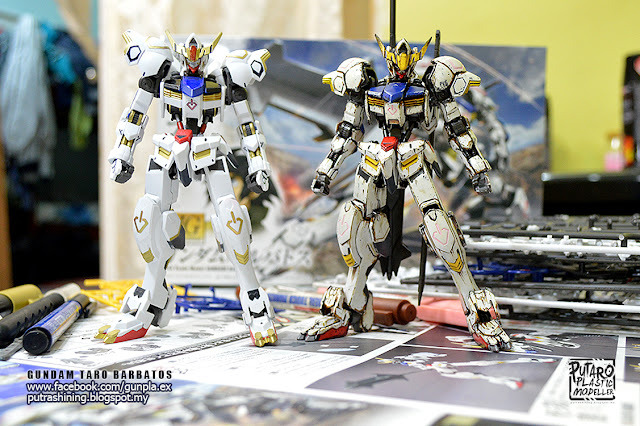 Everyone want to have it, including me. 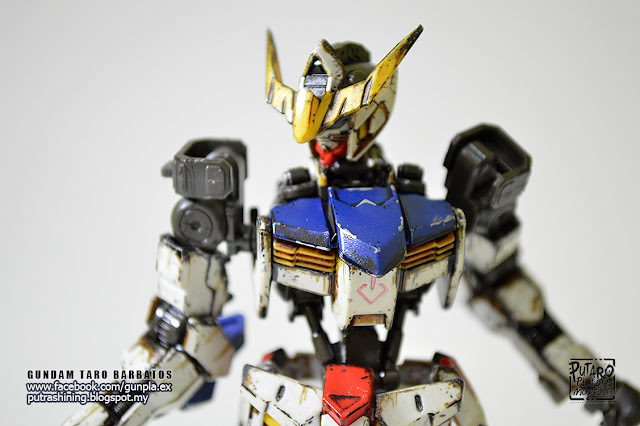 I have learn new techniques and new style of weathering. 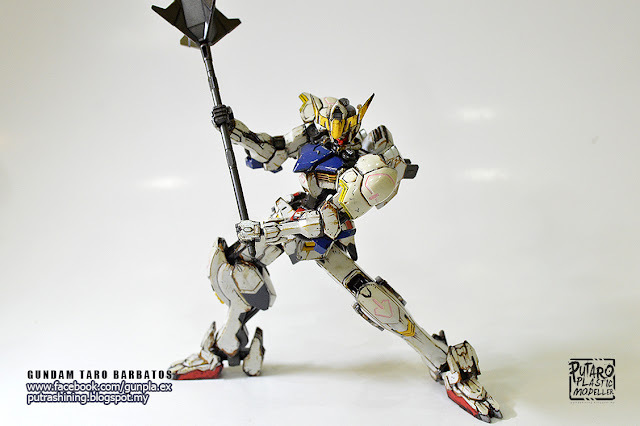 I named it GUNDAM TARO BARBATOS! 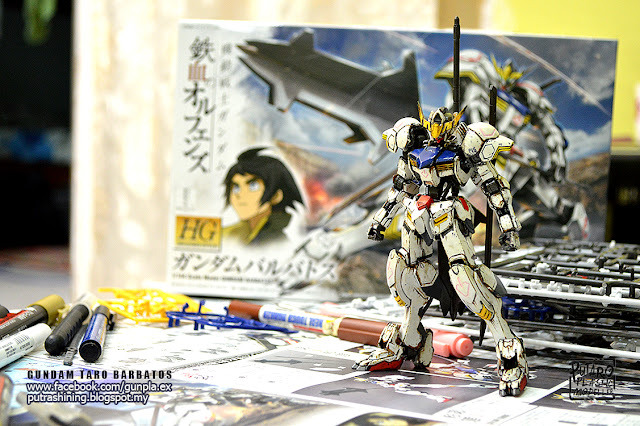 As usual, I like naming my Gunpla(s). HG IBO 1/144 Gundam Barbatos is a fresh experience build for me. I took around 9 hours to complete build including weathering. 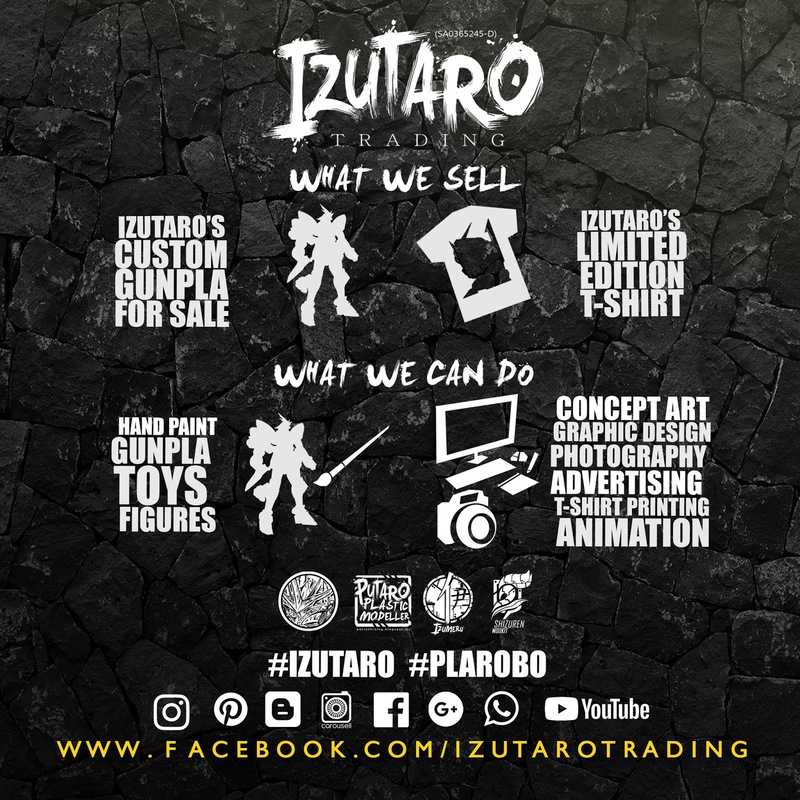 I build and I weather part by part. 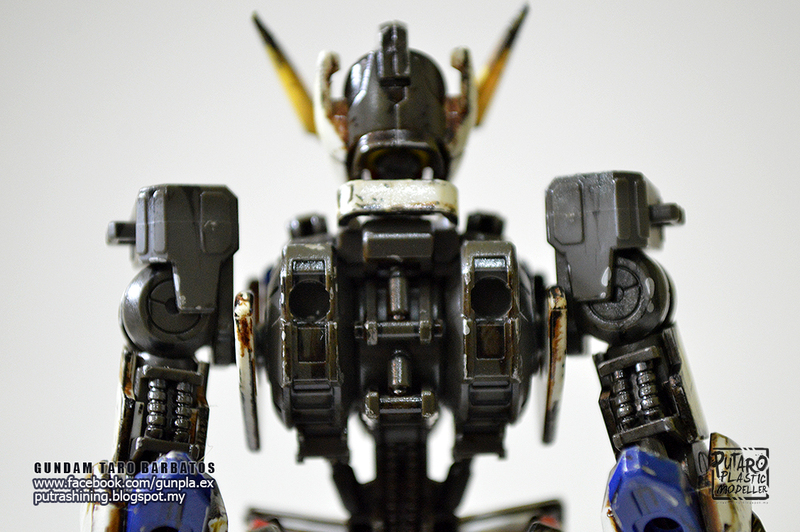 I really like the results, not bad for a 2nd try of a new technique that I did just learned. 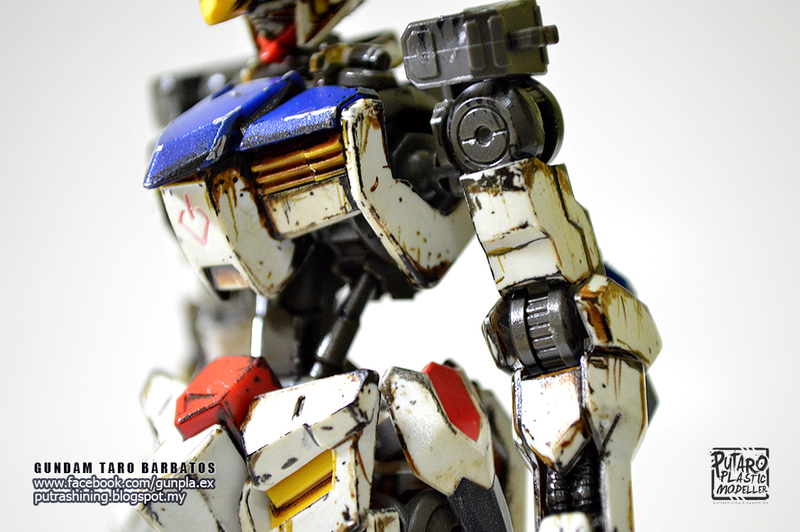 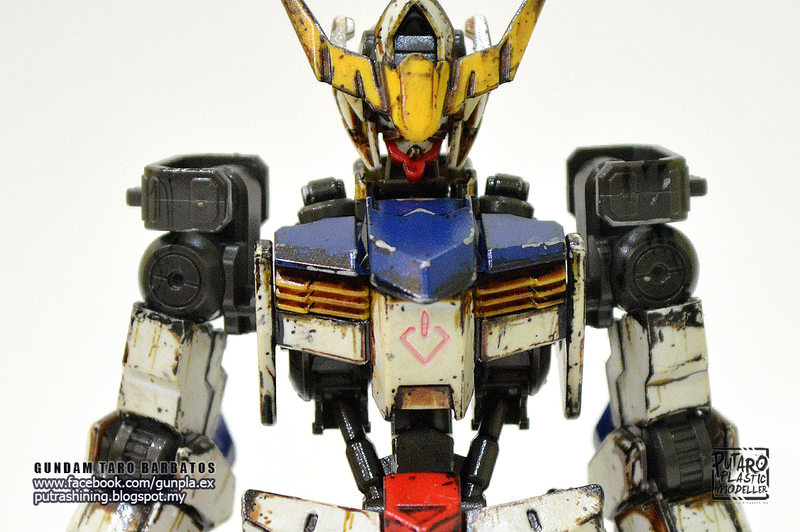 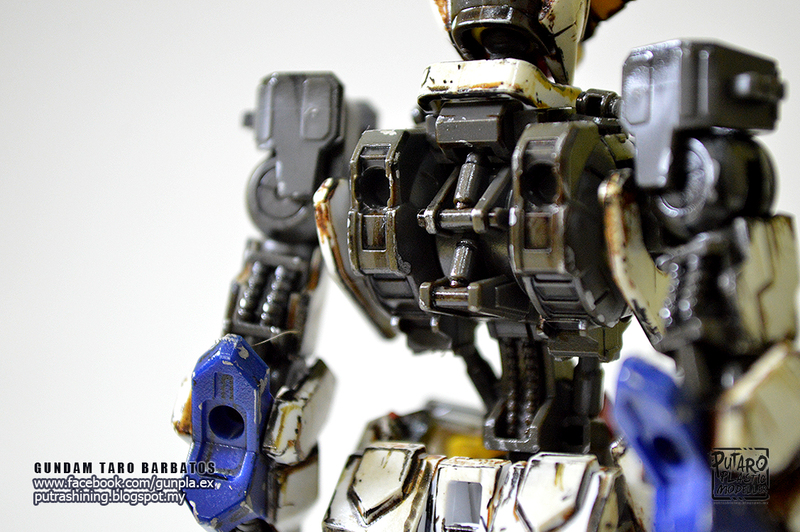 Let's take a look at my 9 hours full power burden hungry old rusty Barbatos, I hope you guys like the weathering that i have done, thank you for viewing our blog." 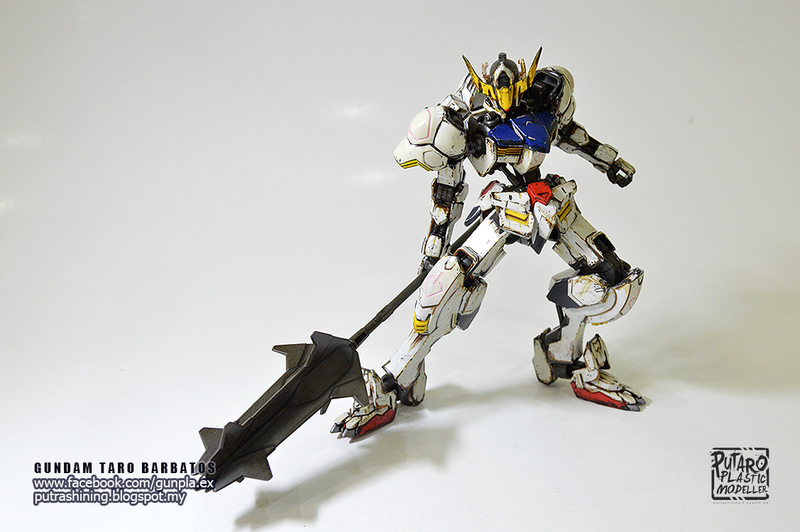 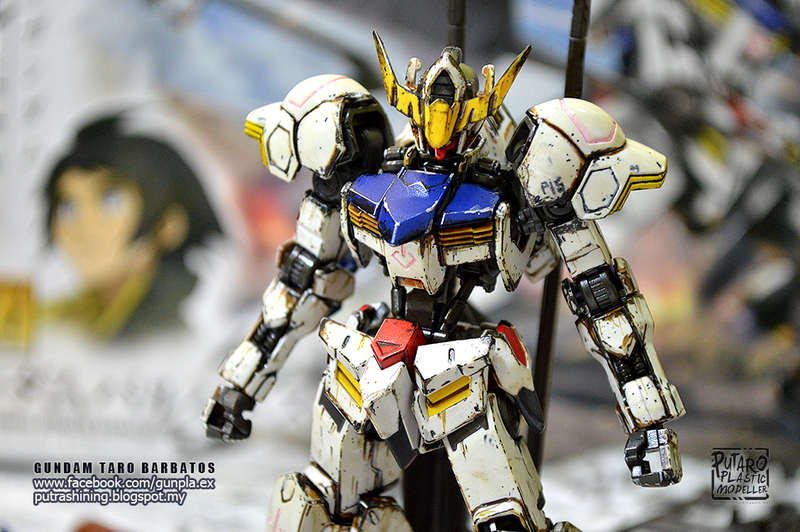 Don't you want to see more Gundam Barbatos Custom? Me and Izumeru we build Barbatos together and we plan to upload it the same time, so don't forget to view Izumeru's blog too.